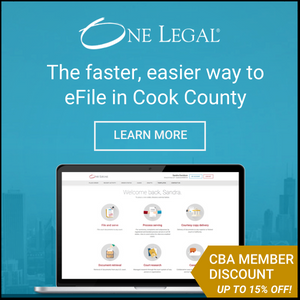 The Legal Tech Innovator Showcase seeks to promote the law firms, legal service providers, and companies that are using technology to improve legal services in the Chicago area and highlight those whose innovations are exceptional. Five “Best in Show” awards were selected from the judge’s scoring in each of the 2 awards categories: Law Firm/Legal Services and Company/Product/Service. The winners will present a 5 minute product description at the Chicago Kent Auditorium on October 24 and have an opportunity to exhibit during the event. REGISTER FOR FREE NOW! SPACE IS LIMITED! Or other reasons not listed that shows how technology has enabled other innovation by and for law firms, lawyers, clients and/or consumers will be considered. Absolutely! The Showcase will be held at Chicago-Kent College of Law on October 24, 2017 from 1pm-4pm.